Learn What Career Opportunities Await Sagittarius! Pull yourself up and perform the tasks you’ll get in the best possible way, even if you need all your abilities and skills to do it. Besides, the projects you’ll be working on may be very important for you and they will lead you to success and professional growth.  Despite the fact Jupiter goes retrograde may bring about a couple of challenging situations, they won’t be impossible to handle. If you cope with the tasks successfully, your employer will promote you or give you a pay rise promptly. It will make you happy and give you a sense of satisfaction you’ve searching for. Challenging situations are possible, but they will be neither desperate nor overwhelming. The period from the beginning of November will be especially successful.